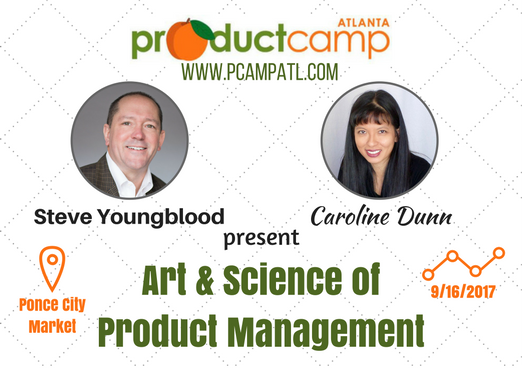 Great Product Management is 1/2 art and 1/2 science. We've got science and process down. "Art" though seems to be a lost one. This presentation will help product pros re-energize their use of intuition and discovery to provide fuel for their development roadmaps. This session was co-presented by Steve Youngblood and Caroline Dunn on September 16, 2017.